. Published on November 9, 2014 . 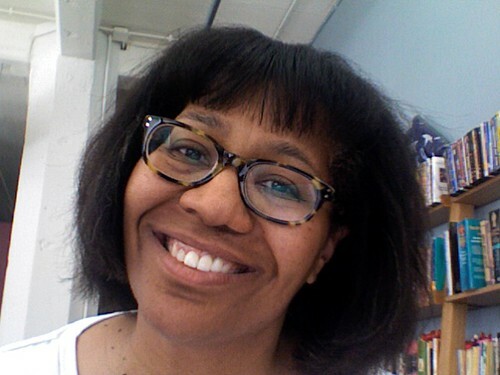 This blog spotlights faculty member Karla Fuller. Professor Fuller’s focus is screenwriting, cinema studies and she is currently teaching the final Thesis Seminar class. It is important to note incoming students will still have the opportunity to work with a faculty member as a thesis advisor. So you will get the same experience but it is going to be packaged a little bit differently. Karla comes to Columbia College Chicago by way of Hollywood and Northwestern University. After her undergrad Karla spent a year in Tokyo studying film and then attended Columbia University in New York to get her MFA. Karla worked with MTV then she went onto Vestron Pictures where she worked on the iconic movie “Dirty Dancing.” After spending times in the industry, Carla went back to get her PhD at Northwestern and then parlayed that degree into a faculty position at Columbia College Chicago. I sat down with Professor Fuller to learn a little more about her Columbia experience and her perspective of the Graduate Thesis. Karla stresses the importance of a proper fit between the faculty member and the student. When the lines of communication are open the advisor can complement the student’s short comings. 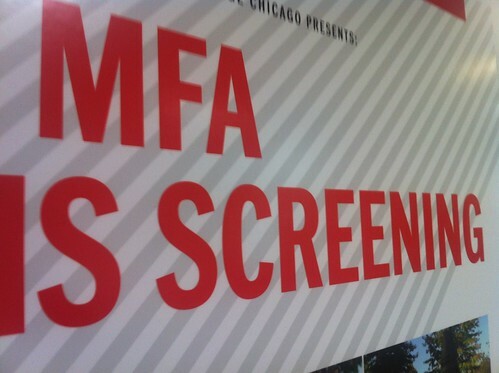 Also, because MFA students have two advisors, faculty members complement each other in aiding the students. I asked Karla a piece of advice she would give a student beginning the thesis process. She stressed that students should think of thesis as a learning process and this is a chance to take a risk. The thesis film is not your last film; it’s your first film. Karla suggests that students should not get stymied trying to achieve perfection. They must remember they are just starting their careers and this is not going to be their only film. She would rather see a thesis film that is technically flawed but takes chances. I paraphrase Karla by saying students should take advantage of the fact they are learning and flaws can be masked with bravado.